He brought us many memorable games like Devil May Cry and Bayonetta, but Hideki Kamiya doesn't usually do sequels (though he did work on sequels before, including Viewtiful Joe 2). That's not to say he doesn't want to; he just has a greater calling. From early on in his life, Kamiya wanted to be a creator of video games. According to the Platinum Games game designer, one of the things he wrote in a junior high school essay was that he wanted to work at Namco Bandai (just "Namco" then) and make games. "In retrospect, at the time it was probably more of an adolescent aspiration, like a kid saying 'I want to be a baseball star when I grow up.'" Kamiya said in an interview with Weekly Famitsu. Kamiya got his chance out of college when he sent applications to all the major game makers. Two companies, Namco and Capcom responded. "Looking back, it was a fork in the road." Kamiya recalls with a laugh. "Namco offered a position as a graphic designer and Capcom offered one as a game planner, so while Namco was a company I had admired since childhood, what I wanted to be was a planner." While Kamiya feels he probably could have gotten to do what he wanted in either company, choosing Capcom was the right choice as it brought him under the wing of Shinji Mikami and eventually onto Mikami's team that was working on a new 3D horror game later known as Resident Evil. Kamiya was later on chosen by Mikami to direct Resident Evil 2. While he doesn't know for sure why he was selected, Kamiya believes that Mikami must have seen something in him. Said Kamiya, "Mr. Mikami often said to me 'There are a lot of reliable planners out there, but you're a dark horse who'll either make a hit or a miss.' So perhaps Mr. Mikami gambled that I'd make a hit." After moving on to Platinum Games, Kamiya directed the action game Bayonetta. He is not directly involved with the upcoming sequel, however. Asked about his tendency to work on new projects rather than develop sequels, Kamiya answered, "It's not that I don't want to make sequels – I really do! But considering the nature of my position, I don't really get a chance to. Somebody needs to offer new entertainment to gamers and do the work of sowing seeds that can later grow to be strong pillars. It sounds a little overblown, but I've come to believe that is my purpose. If I had been involved with Devil May Cry 2, then Viewtiful Joe and Okami might never have been made. 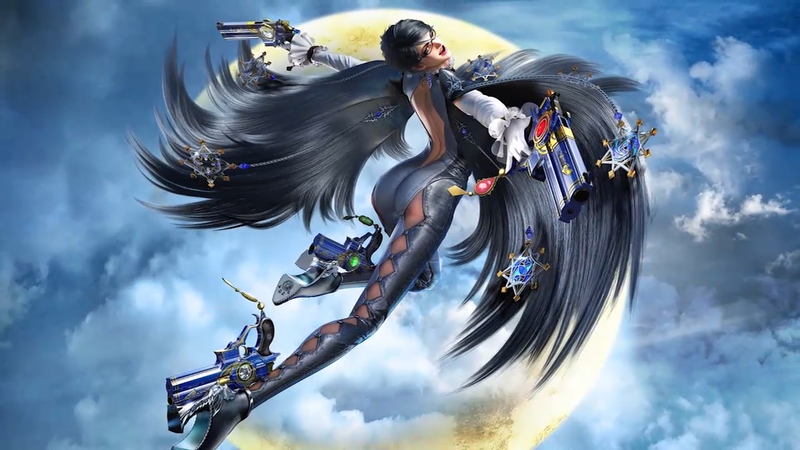 If I was directing Bayonetta 2, then I wouldn't have been able to make The Wonderful 101." Currently, Kamiya is working on a new project, though he was unable or unwilling to reveal anything. He'll probably let us know via Twitter, eventually. If it doesn't turn out to be his standard response again.